C.R.A.F.T. 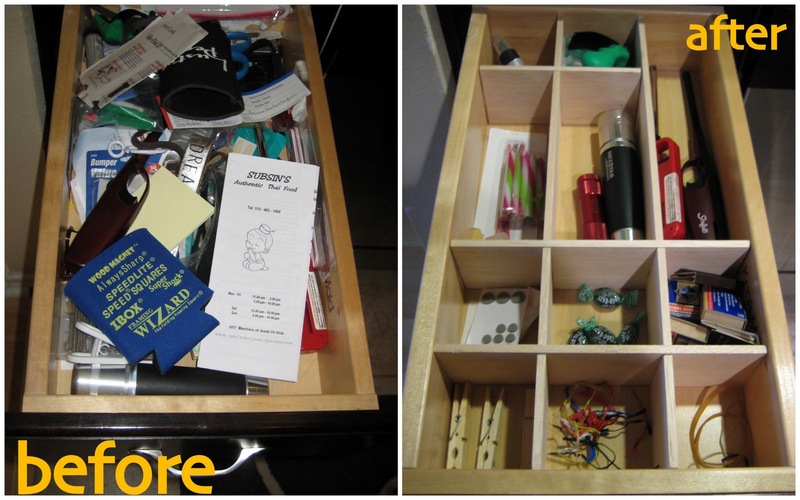 # 72: Drawer Organizer-Part 2 - C.R.A.F.T. 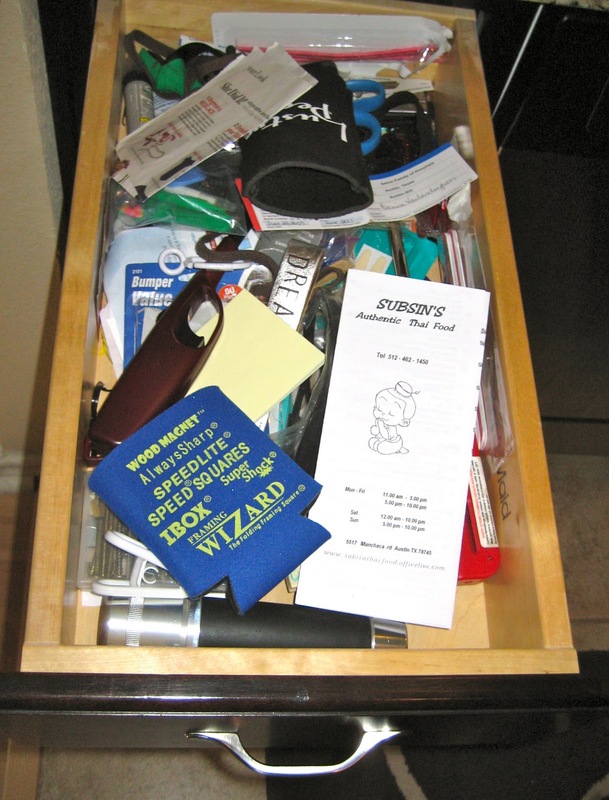 In case you missed part 1 on how to get rid of all of the crap in the junk drawer! 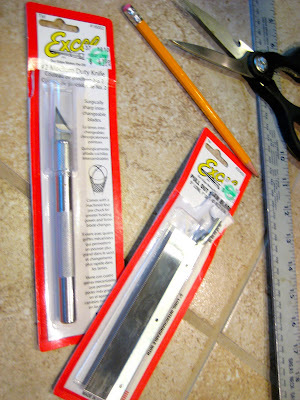 We ended up using 2 pieces of this…it happened to be 50% off at Hobby Lobby! Well, it changed a tad. When making/ building/ crafting things… flexibility is key! 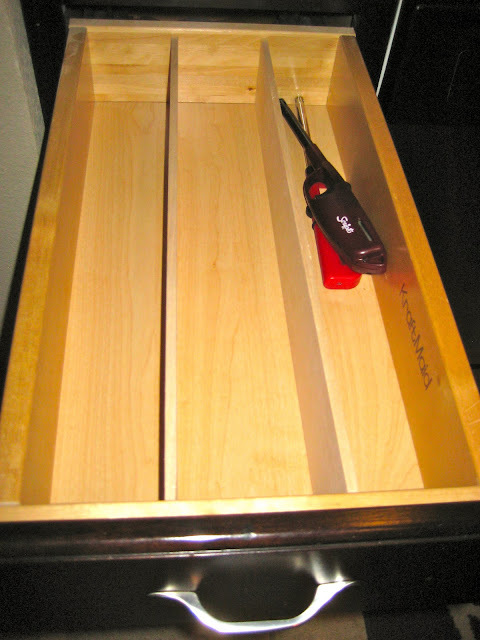 Measure the length of your drawer. Mine was 19in. 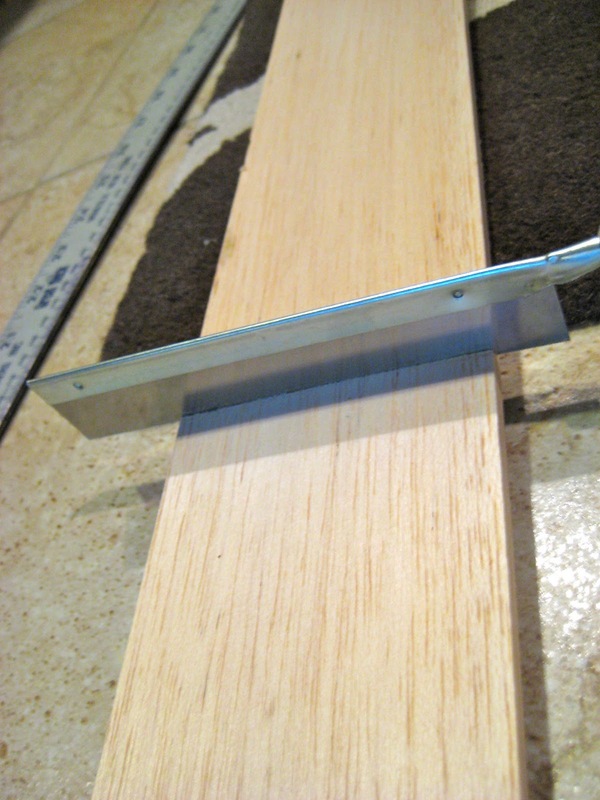 Use your tiny saw to cute your balsa wood to the right length. As you can see above, I am cutting on the kitchen floor, using the rug as my saw horse. TIP: don’t apply too much pressure to the saw, use it more like a bread knife. It is better for the piece to be too big then too small. A tiny bit of sanding goes a long way with balsa wood. I found these little plastic feet in my junk drawer and stuck them on to create the perfect fit! Here’s a fancy version of the drawer with no stuff! I just love a nicely organized drawer! Thanks for stopping by, I linked up to your M.M.M. party and am going to peruse through the other link ups. I REALLY need to make one of these. I have a drawer that is so cluttered it makes me crabby. Totally just bookmarked this! =) My husband is going to be stoked to help! Thanks so much! <3 You're a genius! and seriously my new bff right now! I need to do this to every drawer in my house! Thanks for sharing! I gotta try it, but can you buy the boards big enough for the whole house? Love it! I need some of these! just for everyday things! Thanks for sharing! Look at you go! How nice to be able to personalize each compartment to fit exactly what you need! Fantastic idea, thanks so much for sharing how you did it! I love this so much I featured it this week at my Hookin Up with HoH Party! Feel free to stop by and grab a button if you'd like! Great idea, especially the special sweetie compartment. I love the drawer organizer. Thanks for the tutorial too. And thanks for linking to We're ORganized Wednesday. I'll be featuring this. Great tutorial. Thanks so much! Great work! So nice to have an organised drawer, and so much cheaper than buying pre-made dividers that are never the right size! If only I had more confidence with a saw. Hey there Jamie. We follow each other on pinterest! The funny thing is, when I followed you at first, I thought you were my daughter (same name), but I'm so glad I did! (I just clicked on your name in a email to follow without checking it out first). 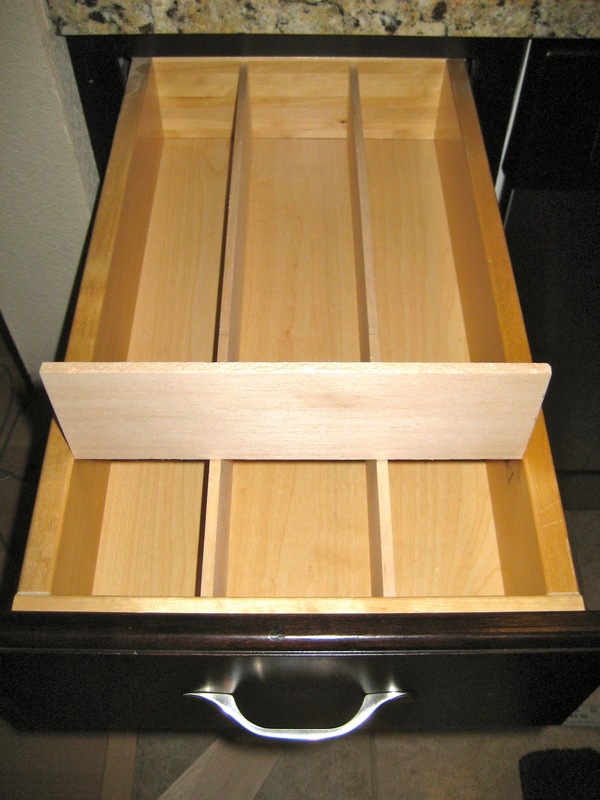 This drawer organizer is perfect! 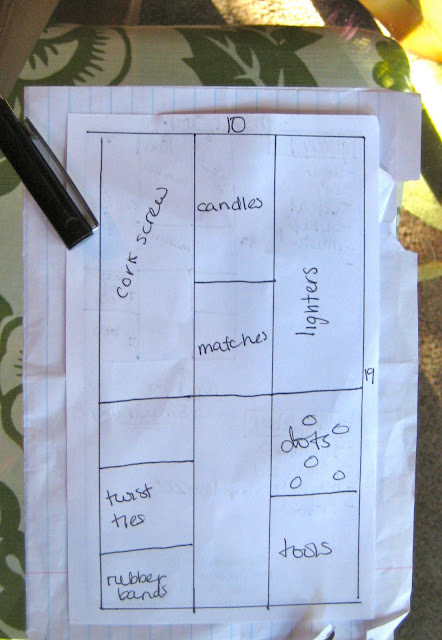 It would have cost big bucks for a wood organizer, and you got custom divider sizes. Love that! This is something that I think I can manage!! I've got two disaster drawers that this project would be perfect for! Thanks!! I used to see nice wooden drawer trays. Now – they are all plastic and don't fir standard drawers. This is Simple and awesome! Way to represent South Austin! Rock on! Very nice! Is the mini-saw easy to use and where can I get one? WOW great instructions! With these instructions, I think I could do it myself. That would be wonderful for a silverware drawer. I hate the inserts. I love this idea! i am SO going to make some of these for my new cabinets! Thank you for sharing! Perfect idea Jamie! I so need to do this! Great idea! I wish all of my drawers were this organized!! This is really smart. I’ve tried to collect little storage containers meant for desk drawers and things to divide up a junk drawer, but inevitably they don’t quite all fit in perfectly. Never thought to do something like this! This was just the tutorial I needed to organize my kitchen drawers like a professional (but without the price tag). 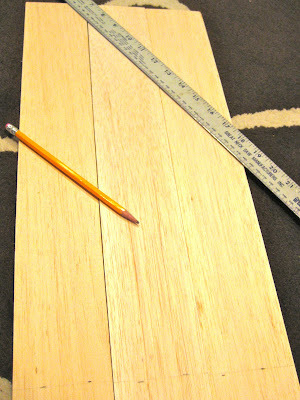 I thought about balsa, but didn’t know if I could find any thick enough and if they’d be sturdy enough. Do these dividers hold up well? ~M. My dividers are made out of balsa wood, and they worked great and held up well! You’re dividers look awesome! 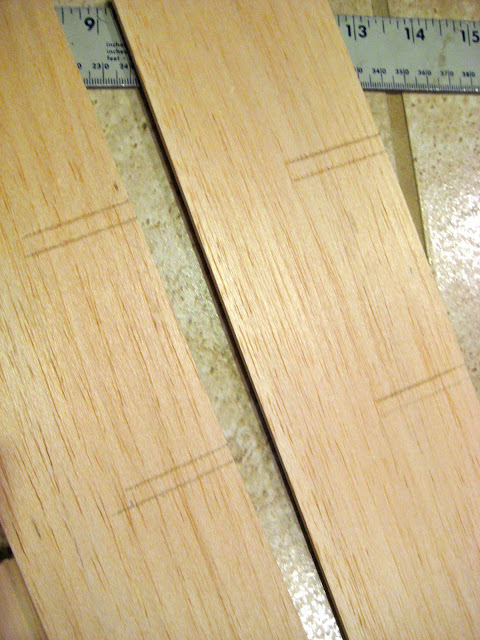 I bought some hobby wood at The Home Depot, but I struggled with the slit cuttings. Any chances you can explain how you did that in more detail (which tools did you use…)? This is awesome! It looks great and is so much more customizable and less expensive than a cheapie store bought one! Great job! What a fantastic idea! I am going to do this right away–I never thought to use balsa wood and it’s so easy to work with! Genius! 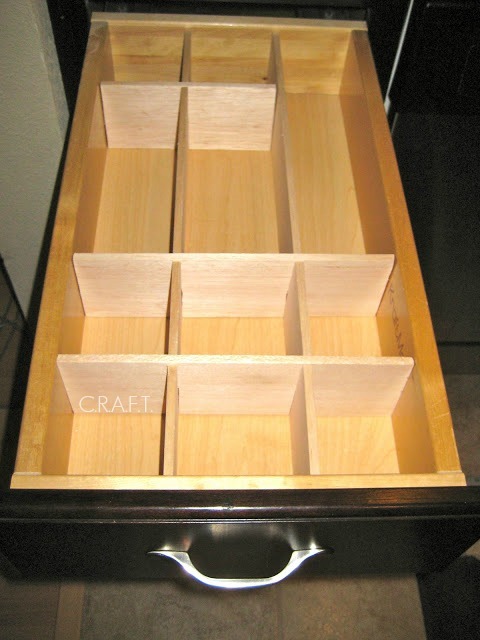 This is such a great way to customize a drawer, especially if the drawer is an irregular size or shape and won’t fit pre-made trays or organizers. I never would have attempted it without a tutorial though so thank you for sharing yours! Also, thanks for linking up at This Is How We Roll Thursday. I hope you continue to come back and share your great ideas! I love this idea and I can do it! I have many drawers that could use this. Thank you for sharing on Show Me Saturday! This is an AWESOME idea! Thanks for sharing your great tutorial with us at #FoodieFriDIY! Sharing!